Beginner knitting patterns are very simple patterns that are designed for even the most inexperienced beginner to use. Most will have little or no shaping and are small projects that enable novice knitters to learn and practice new skills without becoming totally overwhelmed. 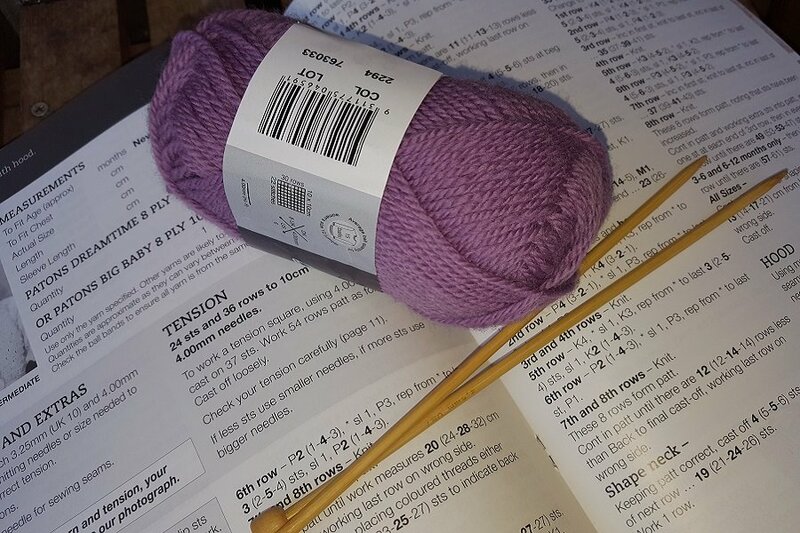 Let's face it, although knitting is not especially difficult once you understand what you are doing, the learning process is slow and can be rather frustrating. Especially if you are trying to learn on your own. Some of the patterns will also require you to know how to decrease by knitting 2 stitches together. 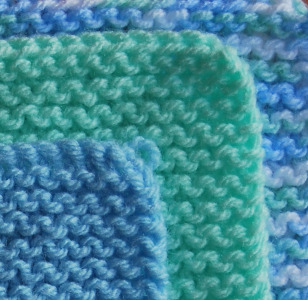 Blanket squares are quick and easy to do so they are ideal for beginners to practice on. Although it might take you a while before you have enough squares to make a blanket! 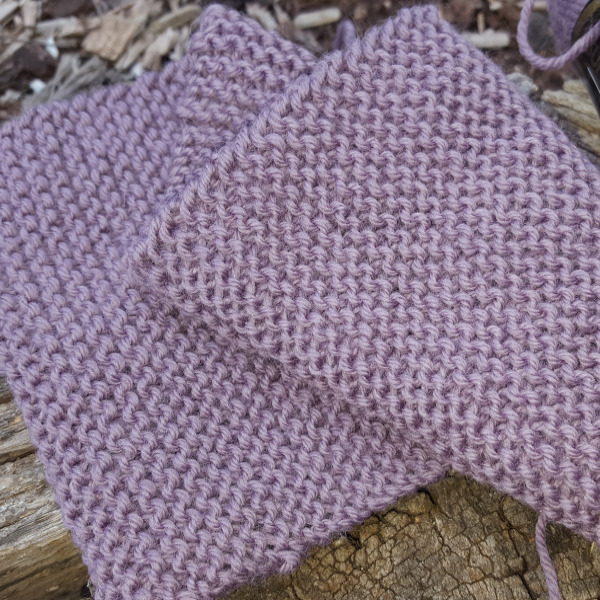 A garter stitch scarf is also eays to make and reasonably quick to finish. All you need to do is cast on the desired number of stitches and then keep knitting until your scarf is the length you want it to be. 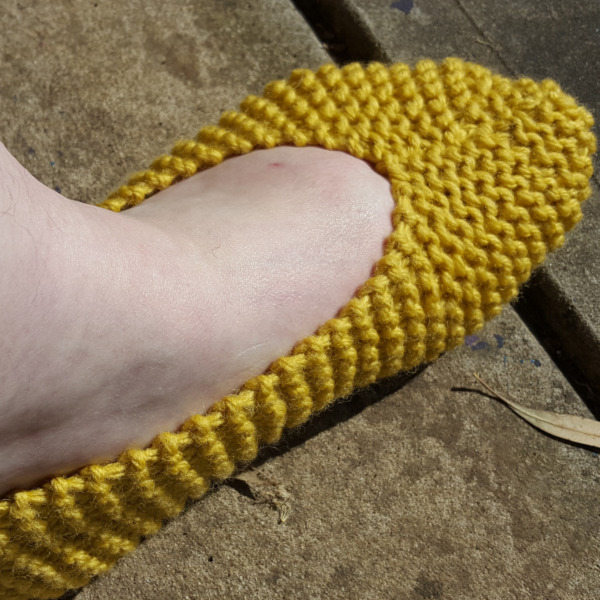 Garter stitch slippers are also fairly easy to make, but the do require you to leran how to knit 2 stitches together so that you can shape your slippers at the toe. If you can manage that, you will be able to whip up your own pair of slippers in no time. 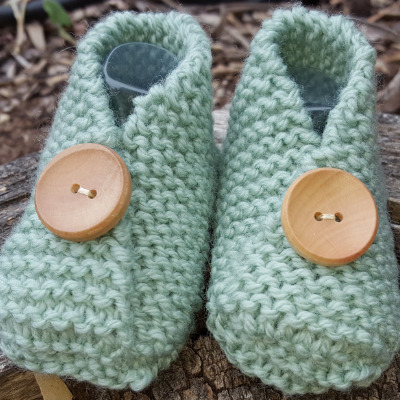 You will find two different patterns for garter stitch booties on this page. One pair are slipper style and the other cross over at the toe. Both are easy patterns and suitable for beginners. If you can't find anything on this page that takes your fancy, you could have a look at my page of easy knitting patterns. Those patterns are also quite easy and most are suitable for beginners with a little bit of experience. They may include simple shaping (like sleeves etc...) and are likely to incoporate other basic knitting stitch patterns like ribbing, stocking stitch, moss stitch or simple textured knitting stitch patterns.